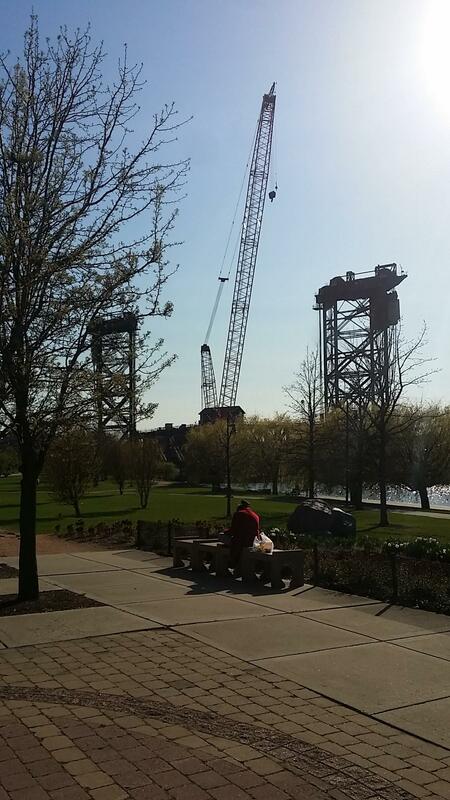 A few days into summer 2015, and cranes continue to enter & transform the Chicago skyline. This sign of increasing amounts of new construction couldn’t make us happier. Most of these new construction projects are residential in nature, but strong evidence of the end of the recession none the less. Among the projects that we’re most excited about this month are two impressive apartment towers, and one redevelopment of a classic village. These three projects will be ranked among the dozens that will be built over the next few years. Earlier this month, ground was broken for the 310 unit apartment tower in River North named NEXT. This 28 Story tower was designed by Pappageorge Haymes, and developed by Fifield Companies. Set to feature everything from studios to luxury apartments, it will also boast a number of luxury amenities, including a yoga studio, outdoor pool, fitness center, and sundeck. Occupying a space very close to where Cabrini Green once existed, Chicago residents still seem to be deciding on an agreed upon name for this area. It is very close to River North, and most people currently refer to the area as ‘West of Gold Coast”.One controversial suggestion was NoCA, which evokes a sense of New York. Tweet us @PahRoo your thoughts on what this area should be called. A very large redevelopment project is set to begin on Atrium Village in Old Town next month. The village will consist of 8 three-story low-rise buildings set into the interior of the block, with an additional nine-story mid rise. This development layout is very interesting, in that it is focused on community by limiting interaction at the sidewalk. The redevelopment would not be complete without surface parking lots, lots of suburban style green space, a new public park, and plenty of courtyards. In all their glory, the buildings will feature 1,500 residential units and 47,000 square feet of retail. Phase one is set to begin at the SW corner of Wells and Division very soon, so it won’t be long until this new addition makes its way to the downtown skyline. A very exciting project that is nearing completion is the Wolf Point West apartment tower. This 48 floor tower is now finishing up framing out the 30th floor. The apartment tower will feature just over 500 units. Representing top tier luxury apartment living, this tower is located in River North’s entertainment center, and will offer amenities including direct access to a river walk, top floor fitness center, a game room and a pool. Some pretty outstanding additional amenities include an indoor-outdoor dog lounge and an outdoor terrace equipped with fire pits! Across the river you’ll find additional new construction including River Point & 150 North Riverside.